This week in the iPad Series, we’ll be discussing how we communicating with our friends, family, colleagues, and others. These days, many people keep in touch with friends and family through their social networks and apps. We will be dedicating an entire article to Social Apps on the iPad later in the iPad Series. Email is a primary form of business and personal communication. 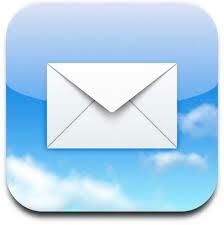 Additionally, most people have multiple email accounts: business, personal, junk mail, etc. You will probably be using your iPad regularly to check your email. Whatever you do, it’s a good idea that your main email account is a web mail service. This means that instead of using myemail@windstream.net or your cable/DSL/satellite service of choice, that you use a service such as Google’s Gmail. Hotmail is so 1998, but Microsoft is making some serious updates in their new Office Cloud services with outlook.com. As for the other service, Ya-who? If you choose Gmail, check out the article on organizing your email to learn how to set up Google to be able to send and receive email from multiple accounts, including filtering emails to make them easier to check. We’ll discuss a few apps with a short description of the pros and cons of using your Gmail account with the apps. The basic mail app that comes pre-installed on your iPad really isn’t bad. Apple has done a great job integrating your connected email address with everyting in iOS. If you’re not sure how to get your Google Gmail or other accounts to work with iOS, check out this article on Lifehacker. CONS: I’m running iOS6 on my iPad2 and do not have the ability to Archive my Gmail in the app. I’ve read articles that iOS6 was supposed to support it if you held down the delete icon, but all I can do is delete. Maybe it’s an iPhone thing that hasn’t been pushed to iPad, I don’t know. I’ve also read that it used to be a setting you could change in the Mail settings, but that option seems to no longer be available in iOS6. Also, the standard mail app doesn’t allow you to Star messages or mark them as important. As for viewing your email, you can’t see the Important and Unread or Starred sections of your Gmail. Open up the Mail app and tap the Edit button. Gmail has an app in the iTunes app store. However, just check out the ratings and you’ll see the problem. It’s not a native app, it’s just a browser with the mobile version of Gmail. Open Safari to the Gmail webpage and you’ll see the same thing. That said, there are some problems and some advantages. PROS: You can use it to get notifications. Go to Settings > Notifications > Gmail to set them up. You can use Gmail features like Archiving, Starring, viewing Important and Unread, and viewing Starred emails. Lots of people complained in the review that it doesn’t support multiple accounts. Gmail does support it and you can use them. Check out this article about Using Multiple Gmail Accounts. CONS: You cannot mark all as read. And when you’re cleaning out your junk mail folder it is ridiculous to tap 100+ emails individually to select them. I did find some message boards that referred to a shake to select all setting, but it’s not available for me. But it’s worth checking. Go to Settings > Gmail and see if you have it. There are two versions of G-Whizz! and the free one has really big and annoying ads. It’s worth paying $2.99 to get rid of them once you know you will use the app. That said, G-Whizz totes itself as being a social app. 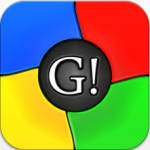 You can use it with GooglePlus, Facebook, Twitter, and more. The reason that we’re looking at it today is to look at the mail feature. PROS: You can set up notifications for every app inside G-Whizz, including your Gmail. Now the best part. In Settings > G-Whizz! > Gmail you can turn the desktop version on. That means that your email will work exactly like it does in your desktop browser. CONS: This app is pretty much a web browser and the email will look exactly like the Gmail app or the browser view by default. If you set it up to use the desktop version, you’d better have very accurate fingers. You can always just use your browser of choice to open your Gmail and skip the apps altogether. Chrome, in particular has a nice feature called “Request Desktop Site” that you can tap to get out of the mobile view. If you use Safari, you can create a shortcut button on your homepage. PROS: It’s simple, it’s free, and you have as many or as few capabilities as you choose by picking either the mobile or the desktop view page. No annoying dings every time you get an email. CONS: No notifications. Mobile view is limited. Desktop view is not optimized for touch and you must be very accurate. 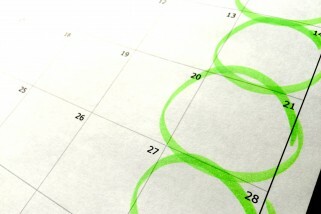 Ultimately, you have to decide what features are important to you. You might even choose to mix two of the solutions above. Set up Gmail account through the iOS system. Turn off notifications and sounds in the standard Mail app. 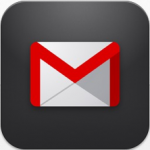 Use the Gmail App for general reading and notifications. Use G-Whizz! on desktop view to clean out long lists of email. You can’t make traditional phone calls with your iPad. 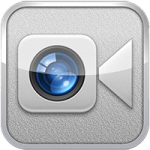 However, you can use VOIP (Voice Over Internet Protocol) and make video calls. Here are a few of the top solutions. Regardless of whether you’ve ever used Skype, you’ve undoubtedly heard of it. 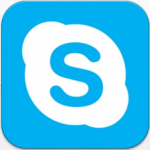 Skype is known for having exceptional call quality – commonly said to be better than mobile phone quality. You can make voice or video calls to other Skype users for free. If you choose to spend a little money, you can have a real phone number that can receive calls, and you can call out to other phones and even send text messages. This is probably the best choice for iPad because it has a native app and is widely used. PROS: Most people have a Skype account. For those that don’t, it’s free. Your friends only need a device with a speaker and microphone, or a webcam. They can download the Skype app for free and talk with you over the internet. Skype for iPad is a wonderful native app that works seamlessly. CONS: You do have to pay to call actual phones, but the cost isn’t bad. Google Voice is great, but tricky to use on the iPad since there is no native app. Your only native option is to run the Google Voice for iPhone app. However, you can use apps such as the Talkaton app mentioned below. As for Google Voice in general, it’s a free service that allows you to get a Google Voice phone number. You give that one number out to friends and family and set up your GV settings to forward your calls to any phone. Any SMS text messages go to the cloud, as we’ll discuss in Texts below. Additionally, Google Voice suffers from Googleitis – Google makes the most amazing products, then fails to support or update them properly. PROS: You have one number to give out to friends and family. You can set it to ring your office during weekdays, your home evenings and weekends, your mobile phone all the time, and your parents’ house at Christmas. Friends and family can text that same number. You can install the GV for iPhone app to get your notifications. CONS: Google doesn’t seem to care if you want to use it on an iPad. There is no native app. You’re going to want to use a 3rd party app to really use GV. Talkatone is basically a native Google Voice client for iPad, so it will require a Google Voice account to use. Calling and texting are available, and the app fills in the gap where Google slacks. 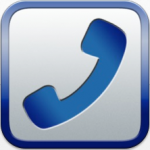 PROS: Make phone calls over VOIP using Google Voice on your iPad. There are tons of settings that you can mess with. A test call worked perfectly and sounded great. CONS: You’ll need a different app like G-Whizz! to access your text messages. If you’re coming in fresh, go with Skype. If you’re already a GV user, you’re going to have to use 2 apps: Talkatone to make calls and GV or G-Whizz for texts. 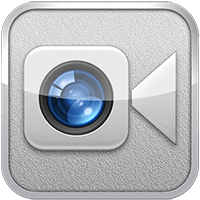 Facetime comes preinstalled on iOS devices. This includes Macs, iPads, iPhones, and the iPod touch. (Current and recent generations only.) This is an Apple-to-Apple only thing, though. PROS: It’s already installed and doesn’t need to be configured. It works well, isn’t glitchy, and is free. CONS: You can only talk to someone that has an Apple device that works with Facetime. Skype is popular and so well-known for video chatting that the name is a verb. As in “I’m going to Skype my friend”. Skype has been around for a long time and they do a great job keeping their product current and updated. PROS: It’s simple, free, fast, and has a good-quality image with little to no lag. Your friends and family can use a large array of computers and devices to Skype with you. CONS: The app isn’t as smooth as Apple’s Facetime. It’s glitchy and the interface isn’t as intuitive. A lot of people complain about getting kicked off regularly. The answer depends on who you are wanting to video chat with. If you can, use Facetime. Otherwise, use Skype. If you use your mobile phone carrier as your primary method of texting, you must send and receive texts from that device and they aren’t “stored in the cloud”. If that’s your choice, it’s okay, but join the rest of us in the 2010’s. You need to look at Google Voice. As we discussed above, the big advantage to Google Voice is that you can give your friends and family one number to text and call. So you can cancel that expensive text messaging addon you’re paying to your carrier. PROS: Your text messages are stored “in the cloud” and when you send a text from any device, it shows up on all of them. You can send and receive texts from anything with a browser. That includes your grandma’s computer and your mobile phone. You can set it up so that whenever you send a text, it shows as coming from your GV number or your phone number. CONS: There is no iPad native app. You must use a 3rd party app. I recommend G-Whizz! You can only send SMS messages, not MMS – so no photo. That’s probably for the best anyway. Just send the photo by email. You cannot “text WIN to 45678”. You can only text other phone numbers. Limited group texting. 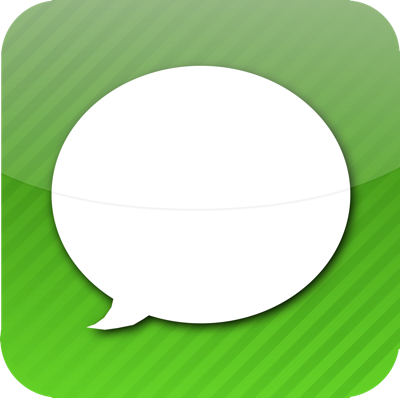 Messages is the text messaging app pre-installed by Apple. Like Facetime, it is Apple-to-Apple only. Both users must have Macs, iPads, iPhones, or the iPod touch. (Current and recent generations only.) Messages on iPhone, iPad, and iPod touch. 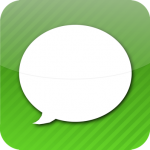 Now they all come with iMessage, a service that’s an even better kind of texting. Because it’s free for you and anyone texting over Wi-Fi using an iOS device or Mac with iMessage. PROS: It’s smooth. It works for free over Wifi. It syncs with the iCloud to show up on all of your iDevices. CONS: You can only text someone that has an Apple device that works with Messages. 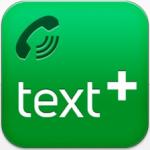 We have to consider a 3rd party texting app and Text Plus is a popular one. It’s what all the kids are using on their iPod Touch. PROS: It’s free and it’s fast. You can text friends that have regular phones and texting plans. It does allow for group texting that is like being in a chat room. It works with Facebook, as well. CONS: You have to manually add your contacts if they don’t already use Text Plus. The company’s name is in the text and it looks like spam texting. You’ll need to let your friends know what to expect. For those of you stuck in the 90’s or those that need access to their work IMs, there are a few universal options. Although the iPad enables a certain amount of basic multi-tasking, anyone who constantly juggles a number of instant messaging services will soon be tired of leaping between apps. IM+ is a good solution, enabling you to run a number of IM services in a single app, and there’s also a built-in web browser for checking out links. 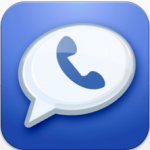 Chat on Facebook, Google Talk, Live Messenger, Yahoo!, ICQ, and more. 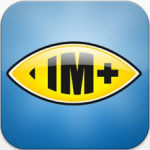 IM+ features free texting, Off-the-Record messaging as in-app purchase, group chats, multimedia sending and much more. IM+ has all your messaging needs covered, regardless of whether you want to stay in touch with your IM contacts or socialize with people around you with Neighbors geo-social network. IM+ supports all major IM services, including Facebook, Skype as in-app purchase, MSN/Live Messenger, Google Talk, Yahoo!, AIM/iChat, ICQ, Jabber, MeinVZ, Gadu-Gadu, SINA Weibo, mig33, VKontakte, Odnoklassniki.ru, Mamba.Ru, Fetion, Yandex IM, Mail.Ru Agent and RenRen. We thought you might want to check up on Twitter while messaging, so we added support for it, too. 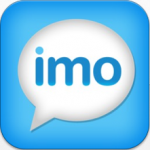 Imo currently supports Facebook Chat, Google Talk, Skype, MSN, ICQ/AIM, Yahoo, Jabber, Hyves, Vkontakte, and Steam. Unless you need to use one of the obscure services, it looks like a toss-up. Check out the interfaces and choose what you like best.